The Internet has changed the way we listen to music. Using music CDs has become history now. With an increase in the number of online music streaming platforms, users get a wide variety of music to choose from. Services like Gaana and Saavn have become very popular and have proved themselves to be the alternatives of traditional music download; even though we can download songs from them by buying their subscription. There will surely be many reasons as to why a person would want to download songs for free as he would want to listen to them when he/she is offline. Now you don’t have to overthink your problem of free music download, legally. Here is a list of applications which can download high-quality free music on your smartphone with just a click. All these apps can be downloaded for free themselves. This is the List of best apps for downloading free music. 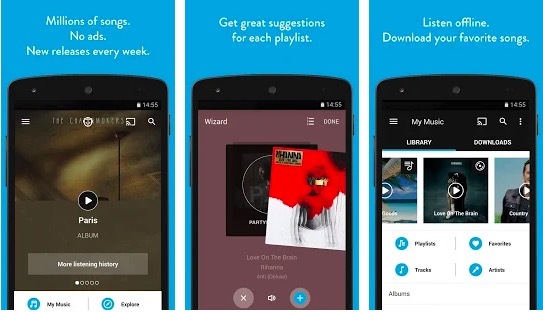 You can try any of these song downloading apps to download MP3 Music on your Android phone. SoundCloud is a very famous platform to stream all kind of records online for quite some time now. It has millions of users which are increasing day by day. 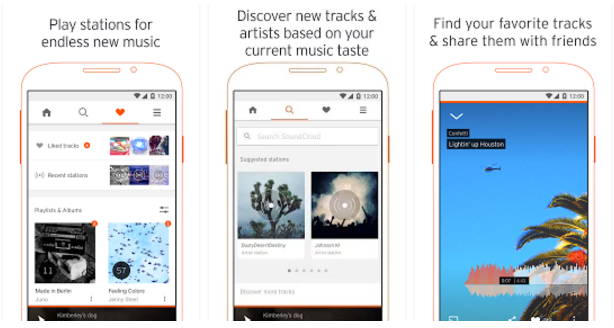 There are rumors that SoundCloud is planning to start with its own subscription fees like few other apps by the end of 2016 so it is recommended you get your hands on this app as soon as possible. As of now, the service is free and it has a lot to offer. It has got thousands and thousands of free songs, music tracks, mixes, and live recordings. Around 12 hrs of audio is uploaded every 1 minute on SoundCloud (Fact). Not all of the songs are available to be downloaded, but most of them can be downloaded. SoundCloud is a great platform to discover new music as it’s a hub for independent labels and un-signed artists. It is also the best song downloading app for Android. 4shared is familiar to all of us. It has millions of songs and music tracks. You can use this app to automatically search for all types of mp3 through its filter settings which let you choose from its vast database. Music which you download is automatically added to a 15 GB storage of your 4shared cloud service and you can listen to when you are offline. This is an awesome app for finding classic, old times music and unknown music from unknown artists. The UI has an old-fashioned look appeals to users with older Android versions. 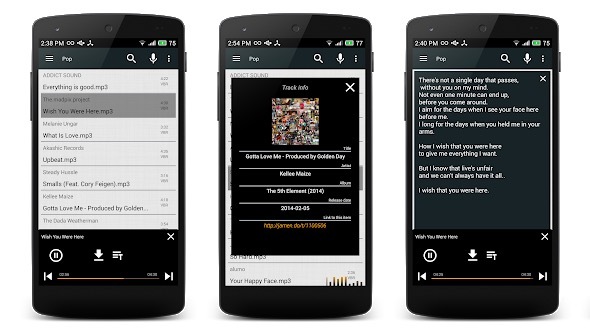 RockMyRun lets you download songs and music which can be used for offline playback. RockMyRun has many DJ-mixed playlists you’re your workout sessions, etc. You can customize your songs according to your BPM and workout. You can also use myBeat feature to automatically change the music which suits you. What’s better than DJ mixes which are customized according to your workout style?! This is another top music app which is available on the Play Store for downloading music. 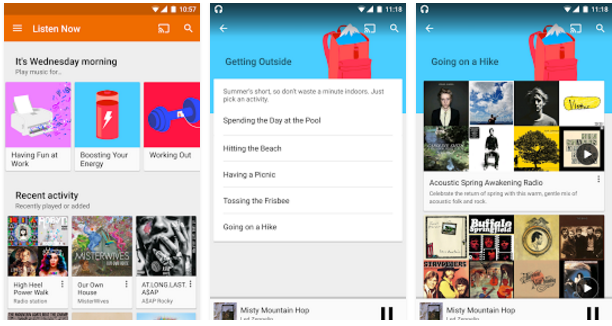 Google Play Music is a music player made by Google for listening music on Android. Sometimes, it also offers songs and music albums to be downloaded. Google Play Music is a very good music player with a very clean UI. If you have Amazon Prime membership, you should certainly try the Amazon Prime Music app. It offers music streaming and allows you to download music for listening to offline. Prime membership is cheap, you getting this is worth. 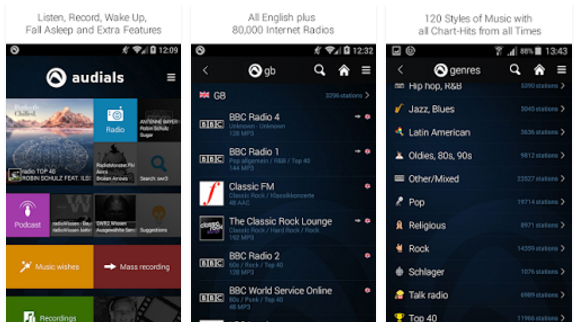 You get tens of millions of songs, thousands of curated playlists and stations to enjoy. It also supports hands-free listening with Alexa. Palco MP3 is also a very good free platform for independent and solo Brazilian musicians to share their composed songs and music with the entire world. They spread over a wide range of genres having currently more than 100,000 artists. Using their app, you can stream online radio stations, make your favorite playlists and download songs on your phone to listen to music on the go. Let it be any Brazilian music- bossa nova, samba, hip-hop or electronica, Palco has covered it all. 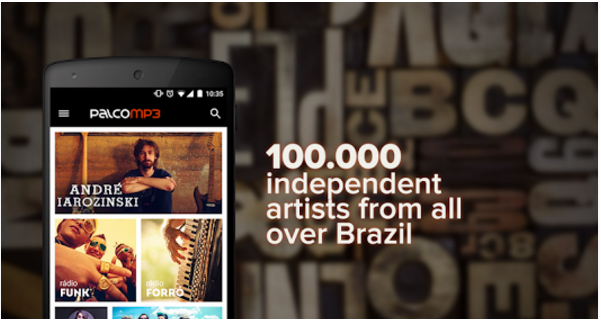 So get started with this app and get a taste of Brazilian music. 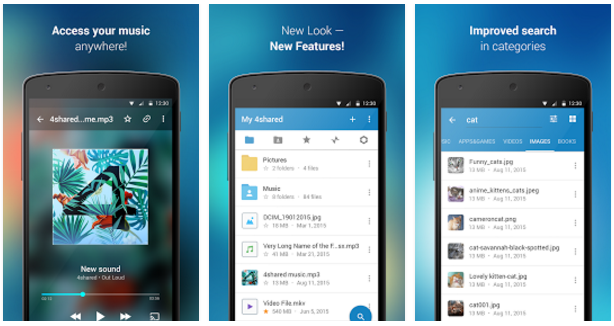 Advanced Download Manager lets its users download MP3s and MP4s simultaneously. It has many settings which allow you to customize how your files are downloaded. You can limit the speed of your download as well to save your internet. You can also limit simultaneous downloads. Advanced Download Manager provides you with very fast download speeds. The in-app browser makes it very easy to search for your music tracks and download them right away. Using Radio Player by Audials is a very popular way to download free music and songs which you can find on Android. Radio Player by Audials has more than thousands of radio stations from many different countries; you can begin playing music from any of the radio stations you find and then with a couple of clicks, you can start recording the song of your choice. This is very useful and nicely designed app that has various great features like- discovery features, Equalizer controls, and chrome cast support. Radio Player by Audials also allows you to keep a scheduled recording for your favorite songs and music from your favorite stations. Radio Player by Audials is the best app and a must have for free music lovers. Napster is one of the best free music downloader apps. Along with music, you can also listen to FM Radio stations. You have over 40 million songs from 35 countries. You can also find your Music Match to discover new music from people with similar tastes. You can play any song instantly without ads. You can also create your own playlists and give them a personal touch. 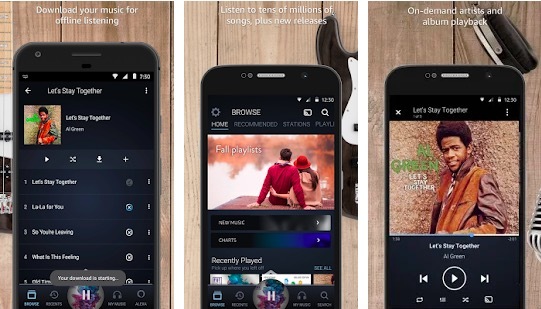 This app brings both a music search engine and music player. With the search engine, you can search for any song and listen to it with the built-in music player. If you are looking for a good mp3 song downloader free app, you can download this one. Download Mp3 Music is also a similar MP3 Downloaer app that allows you to download songs for personal use. It has millions of songs ready to download. Not just songs, it also offers Lyrics. You can search for any song by name and artists to download. You can also share the songs over USB, WiFi or Bluetooth. This song downloading app is user-friendly and is easy to use. Simple MP3 Downloader is also a good MP3 Downloader app that allows you to download tons of songs on your Android phone. You can use search to look for the artist or the song you want. It also offers auto-completion feature to suggest what you should download. The app also features a built-in player for listening to music. In case you are looking for a good songs download app free, Simple MP3 Downloader can also be a good option. This was the list of best song downloading apps for Android. You can use any of the songs download app for free. I hope you liked this mp3 song downloader free app list and get the good MP3 Downloader app.